SUPPORTIVE CHAMBER PILLOW CONSTRUCTION Inner Feather core wrapped in soft down outer. 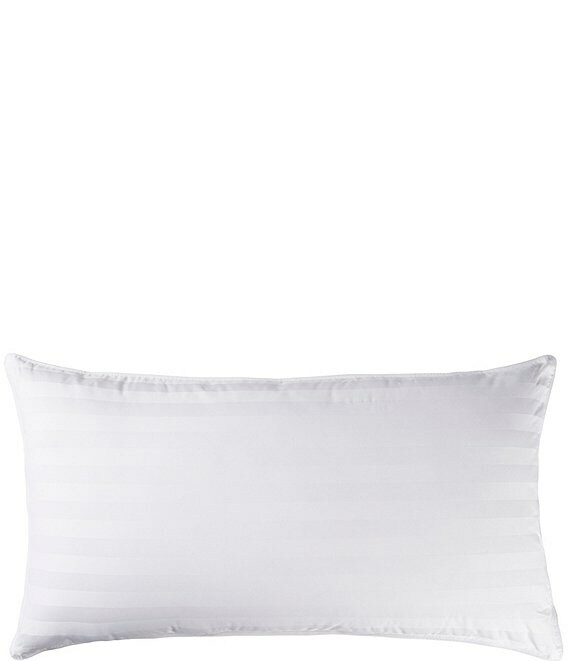 400 THREAD COUNT TENCEL™ LYOCELL COTTON and cotton blend Luxuriously soft fabric creates endless comfort. Wicks away moisture and inhibits growth of bacteria. EASY CARE Wash and dry for easy at home laundering. RESPONSIBLE DOWN STANDARD® Feather has been certified by the Responsible Down Standard®. USA SUPER CLEAN Down has been washed and cleansed at twice the government standards. STAIN RELEASE & ANTIMICROBIAL TECHNOLOGY Helps protect from stains, provides long-lasting freshness, and inhibits the growth of odor causing bacteria. BACK AND SIDE SLEEPER Provides optimal comfort for side and back sleepers who need extra support. Imported and Made In USA.